Attractively decorated rooms, full-size appliances and a friendly staff are hallmarks of this hotel. Smoke free premises. 114 efficiencies, some two bedrooms. 3 stories, interior corridors. 0.5 mi s of Shea Blvd. 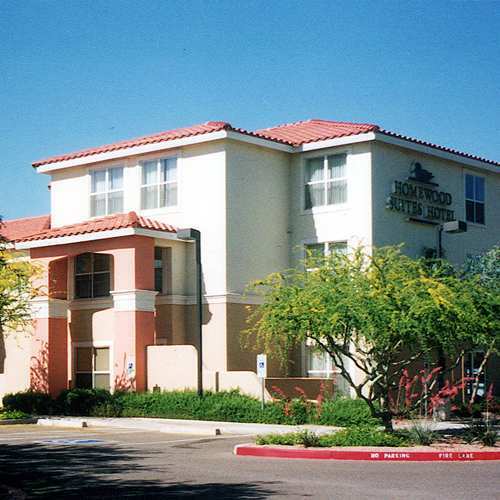 9880 N Scottsdale Rd 85253.
valet and coin laundry, area transportation-within 5 mi, Old Town, Mayo Clinic & hospital.